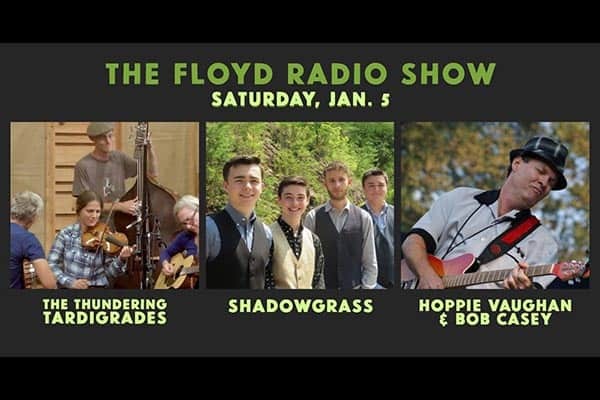 Floyd Country Store presents the January 2019 Floyd Radio Show with The Thundering Tardigrades, Shadowgrass and Gina and Jason Dilg on Saturday, January 5, 2019 starting at 7:30 pm. The Thundering Tardigrades are an old time string band with some of Virginia’s finest musicians featuring MJ Epps, JoeBass DeJarnette, David Winston and Mary Winston. ShadowGrass is comprised of five young players whose paths have crossed to form a love for playing bluegrass music. The band includes Kitty Amaral, fiddle; Presley Barker, guitar; Kyser George, bass; Luke Morris, mandolin and Clay Russell, banjo. All of the members are award winning youth musicians. ShadowGrass is striving to be the next torchbearers to carry on bluegrass music to future generations. 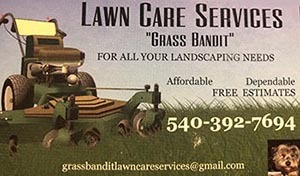 The name ‘ShadowGrass’ was created by the members when they came to realize that they are playing bluegrass music in the ‘shadow’ of such great players as: Bill Monroe, Lester Flatt, Earl Scruggs and other founders of the early bluegrass genre. ShadowGrass has performed at venues such as The Blue Ridge Music Center, HoustonFest, Heartwood, The Crooked Road, The Historic Earle Theater, The Lincoln Theater, The International Bluegrass Music Association Convention (IBMA), and The Society for the Preservation of Bluegrass Music of America (SPBGMA). Tickets for The Floyd Radio Show are $12.00 in advance or $15.00 the day of the show or $90.00 for the entire season. 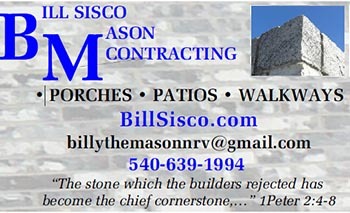 They are available online, at the store, or by calling 540-745-4563. To purchase tickets online, visit: floydcountrystore.com. Note: Originally Hoppie Vaughan and Bob Casey were scheduled to perform as well. 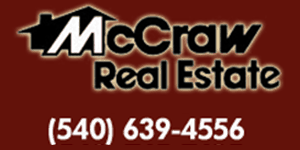 For more information, visit: our website or our Event page or our Facebook page or call 540-745-4563.